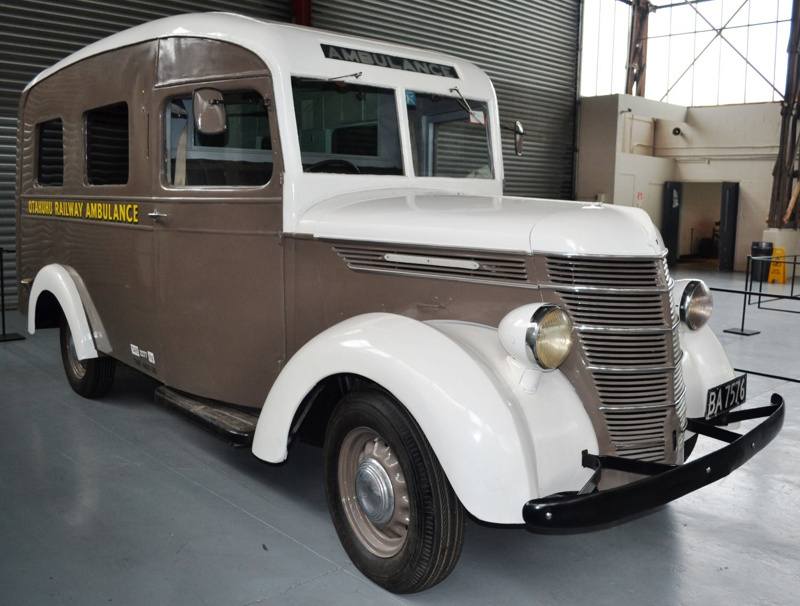 1938 International ambulance., White and Grey/Brown. 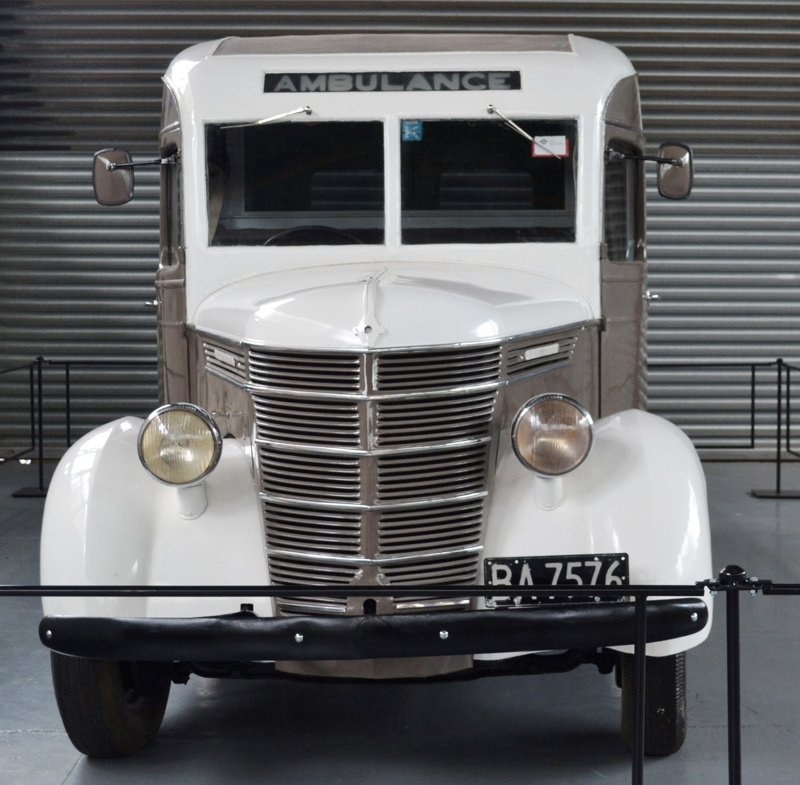 Black front bumper and two LUCAS headlamps, AMBULANCE at the front top of the vehicle. INTERNATIONAL badges along the side front of the engine. 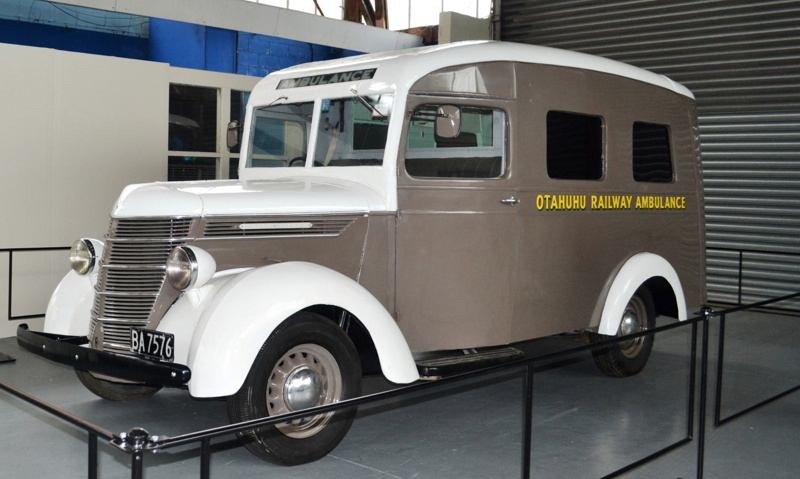 'OTAHUHU RAILWAY AMBULANCE' painted yellow on the side of the ambulance. 'TARE 2277Kg, TARE 4800LBS' White mudguards.Front leather covered bench seat and window to the back compartment of the ambulance.